Are you in need of roll up garage door service in the Vancouver, BC area? If you are seeking help with your garage door then you want Payless Garage Doors Vancouver to help. We have years of roll up garage door experience in this community. Our specialists will respond quickly to your call and work vigorously to solve the garage door problem. 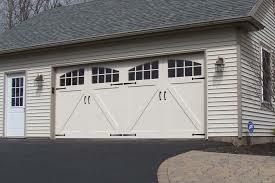 We offer reliable roll up garage door repair 24/7 and the prices we charge are quite affordable. Our techs have mastered every phase of residential roll up garage door service. Whether you need accurate roll up garage door installation or roll up garage door replacement you can count on our experts to work painstakingly until the job is provided to your complete satisfaction. Our dedicated work ethics define us and have earned us rave reviews in the Maple Ridge community. Our roll up garage door maintenance plan is iron clad. It is designed to cover all the bases a maintenance service should provide. Our experts will conduct a step by step excursion across your garage door system. They will address all of the lubrication needs and administer any adjustments necessitated. If we take care of your garage door today chances are it will continue to operate properly for a longer period of time. You can give Payless Garage Doors in Vancouver a call day or night to address your garage door repair, installation, and replacement or maintenance requirements. Our experts are ready to answer your call.